Questions & Answers about Affiliate links and Sponsorships. I have received emails from people asking me why I provide all the information on my site for free. So, I'll try to answer the main questions you may have about it. You are more than welcome to read the content on this website for free. I do however accept financial help from individuals (from your donations) and I might accept or from selected entities when you purchase certain products I suggest. 1. Rafa, what is an affiliate link? An affiliate link is a special connection that contains the ID or user name of the affiliate. Sometimes, I used this type of links on my site to promote products or services from other individuals or identities. This is basically a link provided to affiliates to promote an online service that is then used to credit sale commissions to the affiliate or referrer. 2. Rafa, why do you offer so much content on this website free of charge? 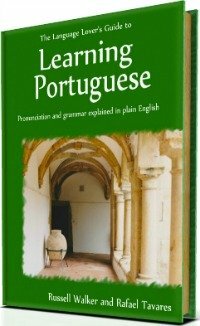 I write and publish articles to help my students and other learners learn Portuguese easily and effectively. Also because I want to break the myth that learning Portuguese is difficult. I do this with passion, so I express here my beliefs about this subject. 3. 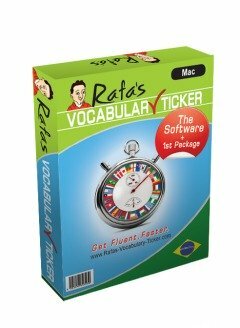 Rafa, do the payments you might receive affect the content of your site? No way! 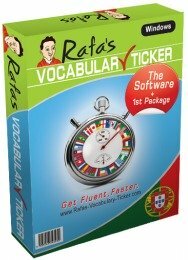 I write and publish this site to help people learn Portuguese and because this is my passion. I will always give you my very honest opinion, feelings and comments about products and services and only recommend products I truly believe in. For me it's all about honesty and reputation. Honesty and reputation are very important to me because my business depends on how people trust me. I will not risk losing your trust for a few cents. My personality and good will are not for sale at all! Thank you. 4. Rafa, does it cost you anything to run this web site? Yes, I pay for the site hosting and development. This costs me a few hundred US Dollars a year. I also spend a lot of time and energy on this website because I research, write, edit and publish all the content myself. 5. Rafa, how can you afford paying for the site if you don't charge for the content? Well, this site is a personal site, and because it's a passion I do it because I like it and I want to. I advertise my own language services here as well. I also may accept advertising offers and I may place affiliate links, which give me a tiny commission when you buy products via my affiliate links. Such percentage does not influence the information or suggestions I provide you on this site at all. I always give you my honest opinions, findings, beliefs, and experiences. Not all the links on this site are affiliate links. I normally point out my affiliate links to you in the spirit of full disclosure in order for you to know when a link is an affiliate link. I also accept donations direct from my visitors who wish to donate to help me with this mission. 6. Rafa, why should I use your affiliate links? Well, You don't have to, but I try my best to accommodate your, mine and the companies from whom I affiliate best interests. Using the affiliate links on this site doesn't cost you any extra because the price remains the same for you. It only means that the company shares a tiny part of their profit with me. I thank you in advance for all your support should you decide to purchase through my affiliate links! 7. Rafa, who is collecting the data I submit on this website and how long will the data be stored for?? Any personal data submitted through contact forms on this website is stored in this website server and is temporarily collected solely for the purpose of connecting with the person who has submitted it, and will be deleted soon after our communication ends. I do not have any interest whatsoever in retaining information from users nor will ever sell, or pass such information to any third parties. 8. What data is being collected and how will the information be used? The requested and collected data is the least amount of details I need to be in touch with you or to send you my newsletters (such as first name and email address only). Sometimes I ask you to mention the city or country you live in just to figure out how many hours we are apart from each other, so that I can accommodate you better in my timetable if we agree to speak in person. Anyway, please feel free to contact me should you have further questions. Go Back From Disclosure To Home Page.